As a way of pushing its products in Australia in the early 1950s, Olympia gave this portable to Sydney radio star Jack Davey - on the proviso he was photographed using it! Davey is seen here with his typewriter at radio station 2GB on May 2, 1955. The New Zealand-born shock jock of his day is trying to calm down after having had a then 16-year-old John Howard, later the "Back to the Future" Prime Minister of Australia, on his popular quiz show. Davey (1907-1959) died the same day as Errol Flynn, with whom Davey had shared a Vaucluse flat in the early 1930s. On March 2, 1967, AEG Olympia became incorporated in Australia as Olympia (Australia) Pty Ltd, allowing the parent Germany company to take over the sales and distribution of its typewriters in this country and ending 16 years of a largely frustrating dependence on an irregular network of agencies. Stott's (in Brisbane) had been one notable exception as a well-established Australian office supplies company willing to handle Olympias. In the early 1950s, the Australian market was dominated by Glasgow-made Remingtons and Imperials from Leicester. Until Olivetti made its Olympian breakthrough in 1956, the only Continental European company to do well here was Hermes, from neutral Switzerland. Some Blue Birds (German Torpedo 18s) were imported in 1955 by the English cricketing Bedser twins and sold through Anthony Horderns in Sydney. British-distributed Olivers (of the Euro Portable Family) and H.G.Palmer-rebranded Smith-Coronas also sold in Australia, but Royals and Underwoods were largely unsighted. Olympia experienced some serious setbacks in trying to gain a market share for its portables. In Melbourne, shonky businessman John Stewart McCallum (McCallum Trading) soon proved entirely unreliable as an agent. In Sydney, a company called Hedesan was set up to import goods from the reconstructed north-western section of Germany, including Olympia (Orbis) typewriters from Wilhelmshaven and Büssing AG trucks and buses from Braunschweig (Brunswick). It didn't survive very long. Buying British not only reflected significant tariff advantages, but also immediate post-war patriotism. the Olympia's country of origin. At the time of its 1967 incorporation, Olympia's Sydney headquarters remained on Kent Street, but further down the road at Nos 410-412. In 1970 it moved out of the city to Artarmon, as well as opening a branch office in West Melbourne. 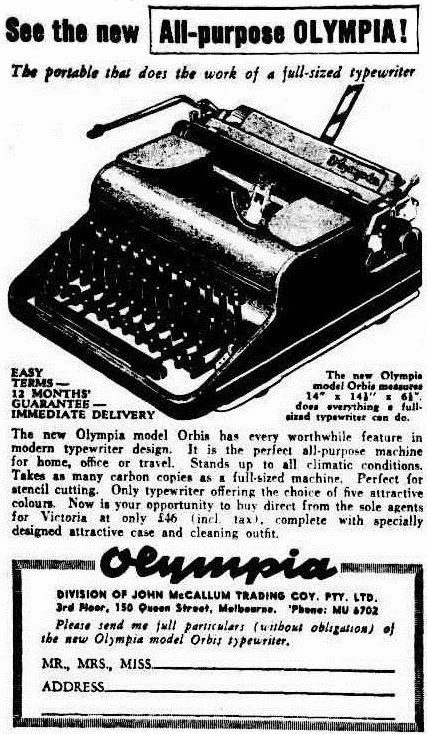 To mark the advent of Olympia (Australia) Pty Ltd, and to convince Australians that Olympia had long held a prominent place in the world of typewriters, Olympia produced its own version of "The History of the Typewriter", sub-headed "Don't Take Your Typewriter For Granted" [which we all did back then]. 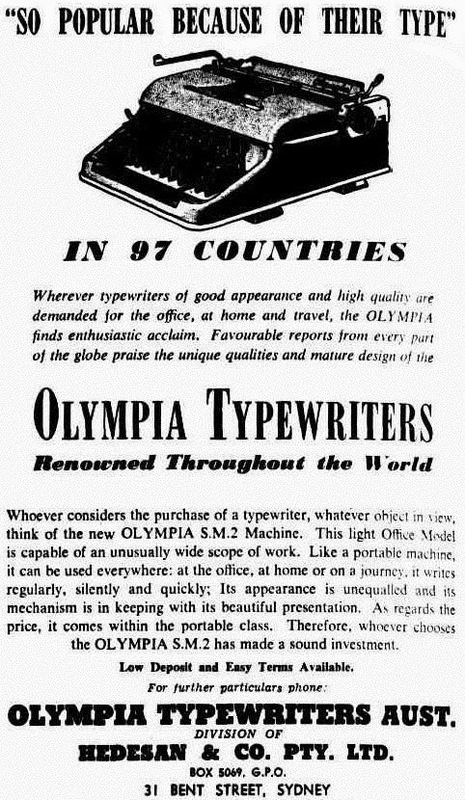 Olympia claimed this "fascinating" history was "gleaned from the archives of Olympia Werke AG, Germany's biggest and one of the world's largest manufacturers of typewriters". 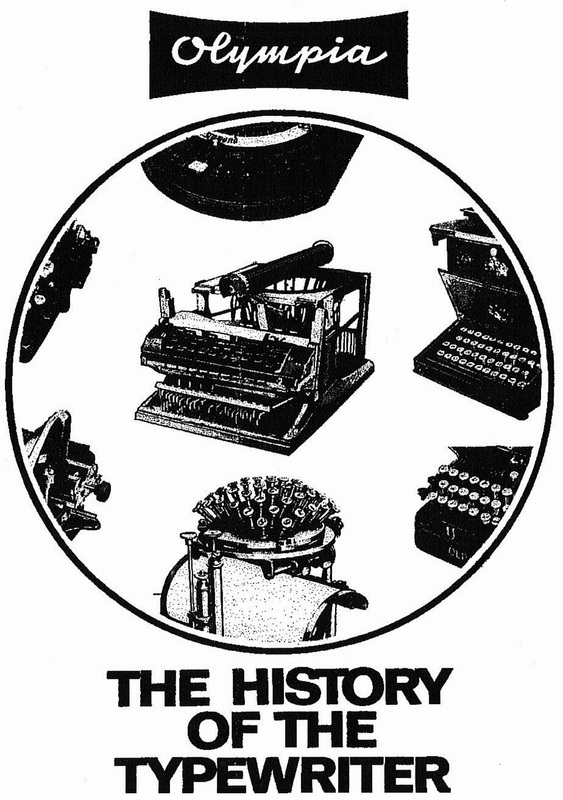 Understandably, this history, while covering all the usual suspects (Mill, Burt, Ravizza et al), ensured that, for the benefit of Australian readers, it stressed some German input into the development of the typewriter. 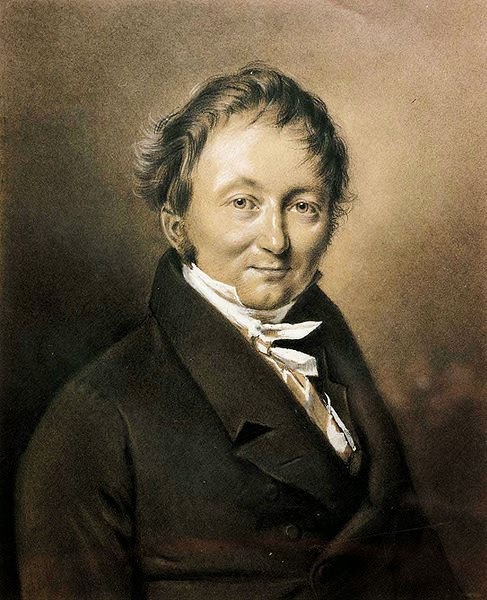 Thus it described "Forester Count von Drais of Baden" as "probably the most significant" of the "numerous typewriter 'inventors'" of the period from 1820-1855. "His claim to fame is a twofold one, having invented the 'draisine' (push cart), which is the predecessor of our bicycle. 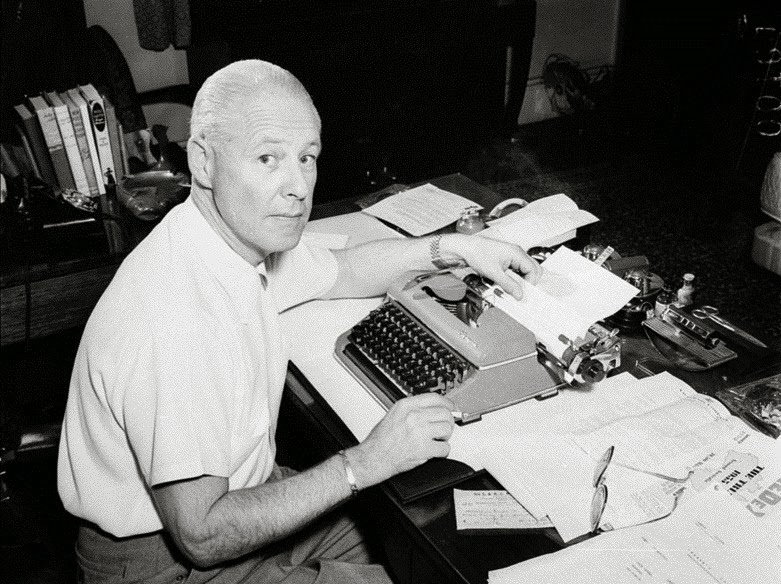 Unfortunately, the typewriter produced by him is now non-existent." Olympia's claims on Karl Drais' behalf were extravagant to say the least. Indeed, it would seem that Drais' own claims, made at the time of his invention, were themselves greatly exaggerated. The truth is, his contribution to the development of the typewriter was not in the least bit important to what eventually emerged in 1873 - let alone being "the most significant". For one thing, his invention was not a typewriter as we now think of it, but a shorthand writing (or stenography) machine. And for another, his machine was NOT the first to employ a keyboard (that honour went to Conti in 1823). Nonetheless, Drais is a most fascinating figure in the history of 19th century inventing and is well worth studying. Any recognition he did receive for his impact on the development of the typewriter was very late in coming. The Germans themselves had more or less airbrushed him from history (indeed, creating in his place a figure of ridicule), from about the time of his death in 1851. 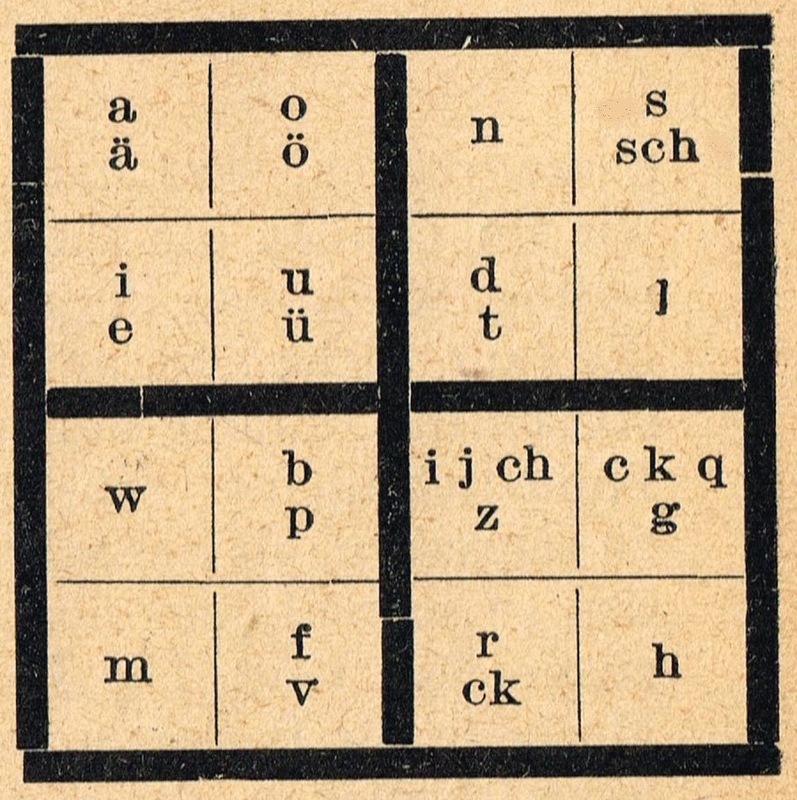 It wasn't until almost 70 years later that German typewriter historian Ernst Martin restored his reputation as an inventing genius. In more modern times, this work has been impressively resumed by physicist and art historian Hans-Erhard Lessing. 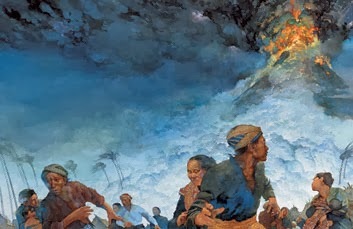 Lessing is especially worth reading on ​​the link he makes between Drais' two-wheeler invention ("the beginning of mechanised mobility") and the climate crisis of 1816-17, following the April 1815 volcanic explosion of Mount Tambora on the Indonesian island of Sumbawa, which blew an estimated ejecta volume of 38 cubic miles into the atmosphere. It was the largest volcanic eruption in recorded history and Lessing shows through circumstantial evidence that the climate anomaly of the "Year Without a Summer" (it snowed in Europe in the summer of 1816) had impaired transportation in Europe by crop failure, rocketing feed prices and the starvation and slaughtering of horses. I am not going to attempt to translate all eight page on Drais from Martin, but it would appear there were two "typewriter"-related inventions, one with 25 characters from as early as 1821, the other with 16 characters from the early 1830s. Martin suggests the two were available for sale simultaneously. In his The Writing Machine (1973), Michael Adler attributed to Martin the (in Adler's words "astonishing and unsubstantiated") speculation that through Drais, "Germany 'probably' invented the writing machine ..." (If Adler's view is accurate, it's little wonder Martin devoted so much of his book to Drais. Adler compares this to two pages for Burt and less than one for Conti.) 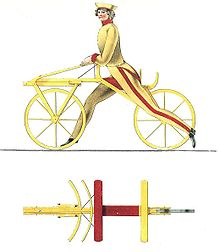 Adler added that "Some have championed the cause of Baron Drais, rather unconvincingly, but when all else has failed ..."
Adler says Drais' machine was exhibited in Frankfurt in 1831 and was described by contemporaries as "eine mechanishe Narrheit und Alberne Erfindung" - a mechanical madness and an absurd invention (or a folly and silly, take your pick!). Adler claimed other German typewriter historians preferred Peter Mitterhofer (an Austrian) to Drais "for much the same reasons that the Italian chose Ravizza instead of Conti - not because of chronological priority, but because of the similarity of their designs to those of [the] later Sholes." 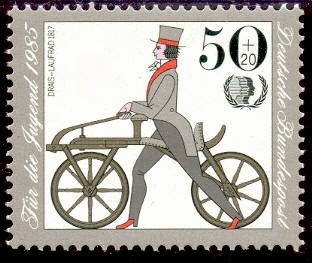 Later, in his Antique Typewriters (1997), Adler wrote that Drais was a "flamboyant and prolific German inventor, best remembered for his contribution to the development of the bicycle ... [in 1817. 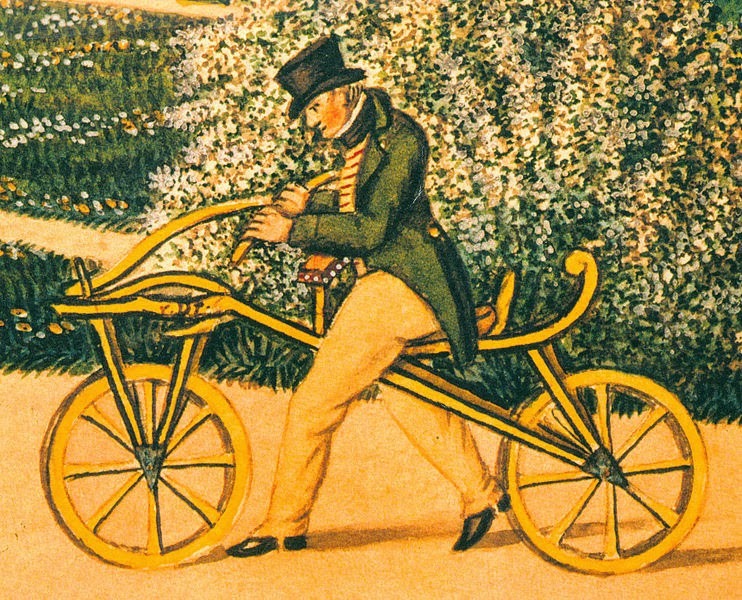 He also invented a device to record piano music on paper in 1812 and two four-wheeled human-powered vehicles in 1813-14.]. [Drais] was responsible in 1831 for a shorthand machine which marked Germany's entry into mainstream 19th century typewriter history. "The instrument was housed in a wooden box roughly one cubic foot in size. Letters and combinations of letters of the alphabet, reduced to 16 elements, were recorded on paper tape advanced by clockwork. "Despite claims to the contrary, Drais' machine was not the first to use a keyboard. "Contemporary witnesses confirmed that the instrument was capable of amazing speeds which the inventor claimed exceeded 1000 characters a minute! That kind of flamboyant extravagance was consistent with the inventor's well-documented character and, if at all credible, must surely be related simply to the maximum number of random marks the machine was physically capable of making using all fingers ... and perhaps a few toes, for good measure." "He had moved after his retirement to Mannheim, to devote himself entirely to his inventions. Together with mathematics professor C. H. Langsdorf* he made a study trip to Brazil, from which he returned in 1827." *This was Georg Heinrich Freiherr von Langsdorff (above; 1774-1852), a German-Russian doctor, naturalist and explorer. From 1813 he was Russian Consul-General in Brazil. In 1822 he sailed with 90 recruited emigrants, including Drais as a land surveyor, to his estate of Mandioca near Rio de Janeiro. Langsdorff contracted typhoid fever, forcing him to return to Germany, and later died of the disease. 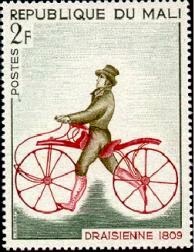 Of Drais, Martin goes on to provide information not mentioned in other biographies: "In 1832 he went to England to present his typewriter and other inventions ... On December 8, 1834, he wrote to the Interior Minister of the Grand Duchy of Baden describing a "Schnellschreibmaschine (schnellschreibclavier)" - a fast typewriter, or fast-read keyboard. In his letter, Drais seems to suggest it could be sold cheaply (100 guilders) and be used in schools. 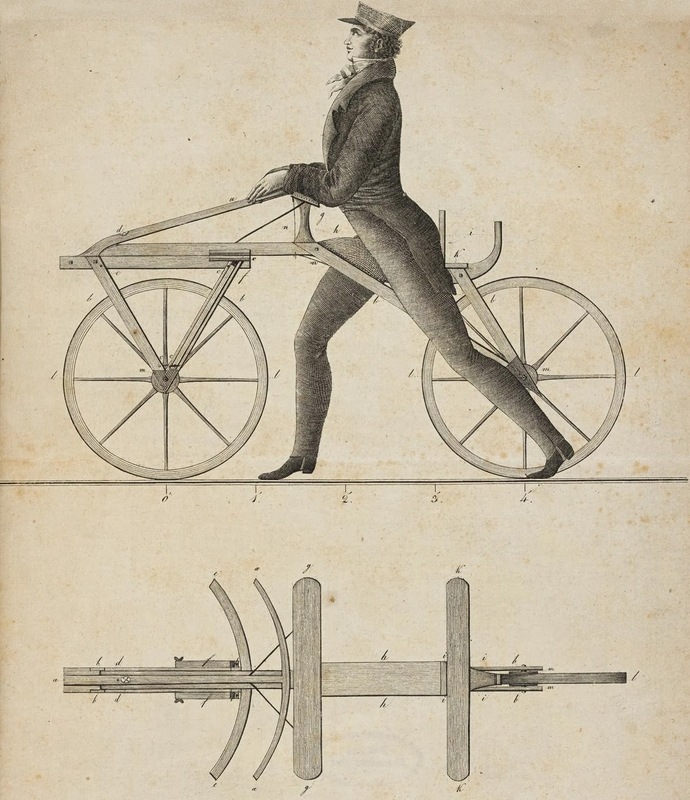 It is elsewhere claimed that the machine was originally devised to aid Drais' father, privy councillor Karl Wilhelm Friedrich Ludwig von Drais Freiherr von Sauerbronn (above; 1755-1830), to overcome Wilhelm's loss of eyesight. 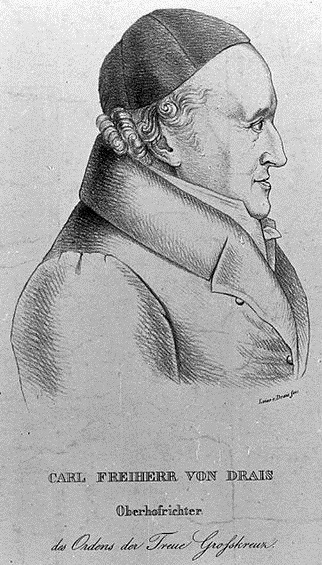 Karl Drais died in Karlsruhe on December 10, 1851. He was penniless after the Prussians had suppressed an 1849 revolution in Baden and seized Drais' pension to help pay for the "costs of revolution" - that is, the soldiers to suppress it. 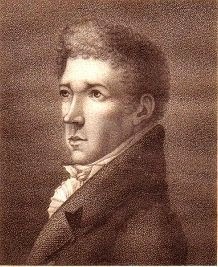 Drais' undoing had been publicly renouncing his noble title (freiherr) and dropping the aristocratic "von" from his name in 1848, adopting "Citizen Karl Drais" as a tribute to the French Revolution.